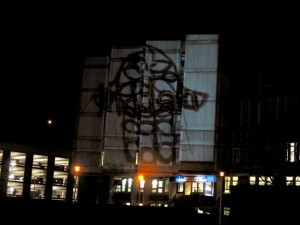 58 artists films projected onto the sides of buildings in Croydon across 4 sites. A film screening programme using evolutionary curation by Jon Bird, Andy Webster and Joe Faith (University of Sussex). Also shown at LUX Open, RCA. 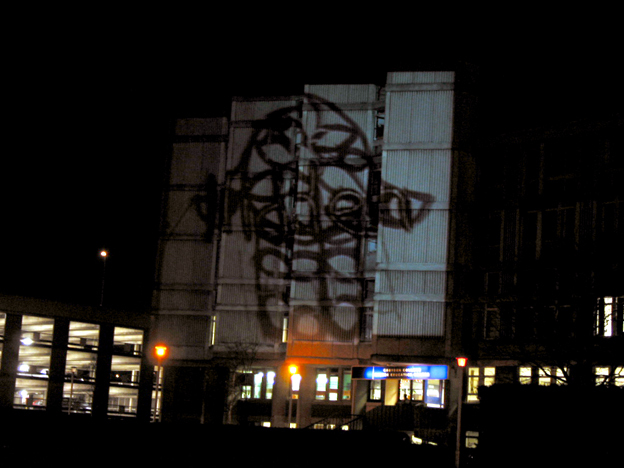 Supported by Croydon Skyline and the Parfitt Gallery.